His eminence discussed recent political and social situations in Iraq and the government cabinet. His eminence discussed concerns of the Iraqi society, means of fortifying society, and roles of religious institutions in that matter. 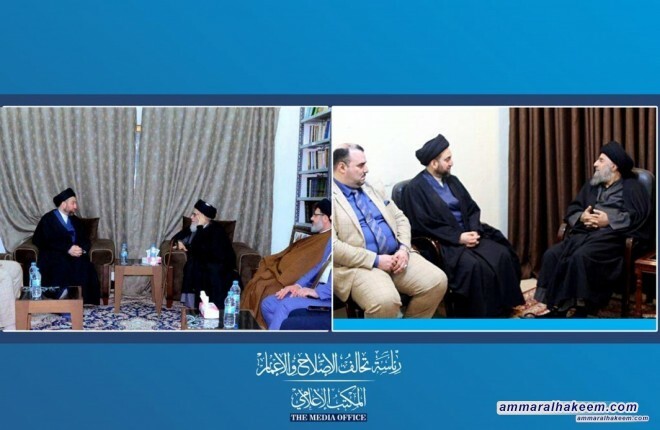 The meeting also covered the reality of the holy cities and the necessity of giving special attention to these cities commensurate with its religious position by virtue of yearly millions of pilgrims that it witness.